Bontang is a city on the eastern coast of the island of Borneo in Indonesia, in the province of East Kalimantan. It occupies an area of 497.57 km2, and the population was 140,787 at the 2010 Census. However, the 2012 Civil Registry listed the population of the city as 175,830. The etymology of Bontang refers to the town’s traditional status throughout history as a humble village populated mostly by immigrants. ‘Bon’ can refer in Indonesian to ‘receipt’ and ‘tang’ to ‘debt.’ Alternately, the name of the town means group of visitors. 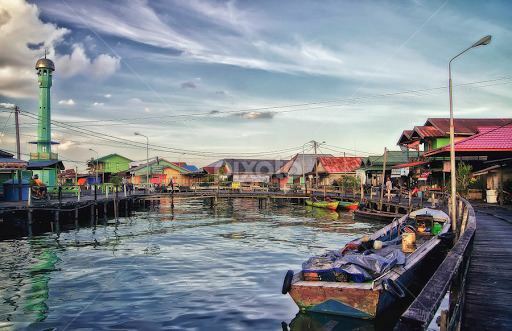 A coastal town, Bontang was initially a settlement governed under the Kutai Sultanate based in Tenggarong, a city in East Kalimantan. In 1972 the government of the Kutai regency recognized Bontang as a district, and in 1984 its status changed to town. 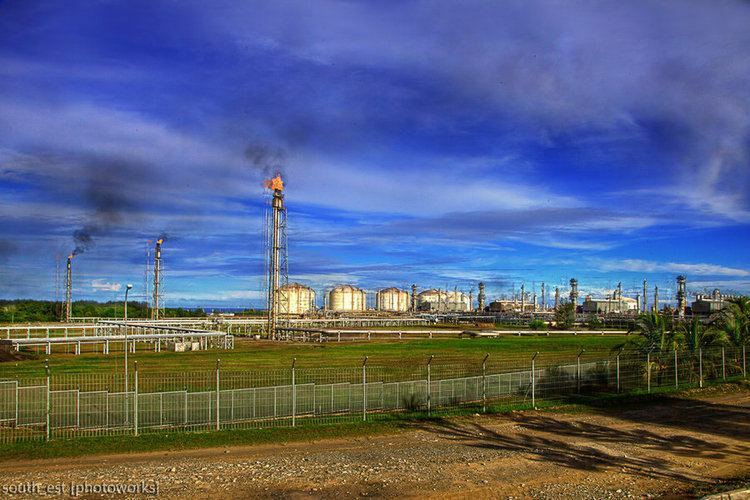 The major development of Bontang took place after two major companies were founded there in the 1970s, PT Badak Liquid Natural Gas and PT Pupuk Kaltim. The former was established in 1974. PT Pupuk Kaltim, a company specializing in the production of ammonia and fertilizer, followed three years later. Bontang is located between 117° 23′ E and 117° 32′ E and 0° 01′ N and 0° 12′ N. It occupies an area of 497.57 km2. The town is hilly and located on an ocean estuary. It is relatively swampy, with frequent flooding, especially in its north district. There is little to no tectonic activity in Bontang. A mangrove forest (600 ha) is located in the town. Bontang gets its fresh water from the Api-Api River. Bontang has a tropical rainforest climate. As such the temperature is warm and relatively stable throughout the year. Rainfalls are frequent and abundant. Two minor seasonal periods can be identified: one drier than the other. The so-called 'dry' season lasts approximately from May until September (but average lower precipitations remain above 80 mm per month). The 'rainy' season starts around November and ends around May. In 2002, the population of Bontang was 105,000, and was growing at a rate of 4% per year. According to a survey done that year, there were slightly more males than females, with males accounting for 52.09% of the population. The same survey reported that the majority of people living in Bontang are young, with 42.6% of the population 19 and under, 47.3% between the ages of 20 and 44, and only 10.1% of the population over the age of 44. At the 2010 Census, the city population was enumerated at 140,787. Despite being located near the sea, the fishing industry in Bontang is small. It consists mainly of small-scale fish farming for local consumption in Bontang and nearby cities, such as Balikpapan. Small amount of the catch is being exported to Makassar, and Hong Kong. Only a small portion of the land in Bontang is available and/or suitable for farming. As such, only about 4% of Bontang residents are involved in agriculture. PT Pupuk Kaltim was established in 1977. It is an Indonesian government-owned fertilizer company that manufactures ammonia and urea from the area’s natural gas. The company operates four units of ammonia factory and five units of urea factory, producing 1,850,000 tons of ammonia and 2,980,000 tons of urea per year. Ammonia produced by Pupuk Kaltim is exported to countries such as South Korea, Taiwan, the Philippines, and India, as well as used locally in Indonesia whilst urea is distributed to national paddy (rice) farmer and plantation (rubber,oil palm,etc.) . Pupuk Kaltim is currently the largest urea-producing factory in one location in the world. There are also other manufacturing companies in Kaltim Industrial Estate near PT Pupuk Kaltim i.e. : PT. Kaltim Parna Industri that produces ammonia and PT, Kaltim Methanol Industri that produces methanol. 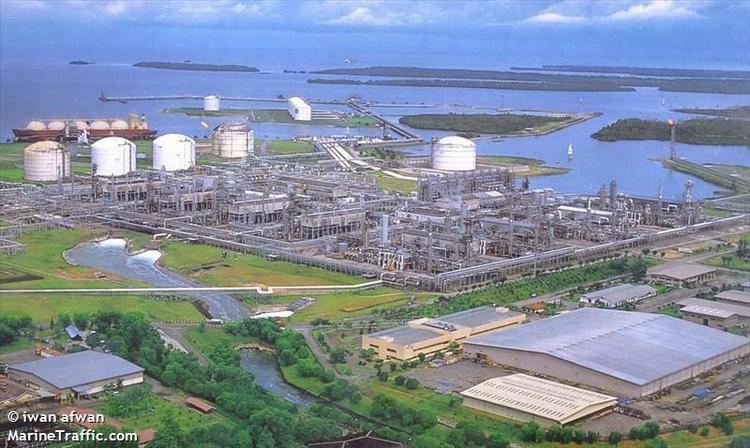 PT Badak LNG was established on November 26, 1974. The company is a joint-venture of Pertamina, Total S.A., Vico, and Jilco, and currently produces around 22 million tons of liquefied natural gas (LNG) per year. The majority of the LNG produced is exported to Japan. PT Indominco, a coal mining company, was established in 1977. It is owned by a Thai company, Banpu, and extracts up to 11 million tons of coal per year. The majority of the coal is sold to electricity companies in Japan, Korea, and Taiwan. The following is a summary of some of the traditional dances from this region. This dance mimics motions used in traditional Dayak methods of cultivating rice. It begins with the planting, moves onto harvesting and preparing the rice, and finishes with serving the rice to guests. The dance, which has several variations, is performed at the beginning of events. This is a dance from the Dayak Kenyah tribe. It tells the story of a hero going to war and fighting his enemies. The dancers dance quickly and joyfully, shouting throughout the dance. They wear traditional Dayak Kenyah clothing, and don a shield and Mandau (a traditional Dayak sword). The dance is performed to the Sak Paku, a song played on the Sampe, a traditional instrument. This is the opposite of the War Dance. It tells the story of a beautiful, gentle girl who dances like a rice plant waving in the wind. The dancers, all women, wear Dayak traditional clothing and hold five eagle feathers in each hand; each feather represents one finger. The dance derives its name from the location: it is usually performed near a gong. Dancers wear wooden masks carved to look like wild animals, and cover their bodies in banana or coconut leaves. It is closely related to a ceremonial dance from the Dayak Bahau and Modang tribes. The dance is thought to provide the community with the power to prevent crop destruction by animals, as well as to bless the community with fertile soil and bountiful food. This is a traditional dance of the Dayak Benuaq tribe meant to prevent people from falling ill, and to cure those who have been bitten by mad dogs. The name of the dance is derived from one of the instruments used in it, the serumpai (a flute-like instrument). A Dayak Belian dance, it serves to protect communities from the evil spirits that live in trees, so that if someone cuts down a tree they will not be haunted by an evil spirit. There are a variety of parochial and secular private schools in Bontang. There are three post-secondary institutions in Bontang, STITEK (Sekolah Tinggi Teknik), STTIB (Sekolah Tinggi Teknologi Industri Bontang), and Trunojoyo. Students can begin preschool at age 3, though it is not an obligatory, then go to Taman Kanak-Kanak (Kindergarten) for two years. The Government's rule is a mandatory to go onto Sekolah Dasar (Elementary School) at age 6 for approximately six years, then continue to Junior High School and Senior High School. Students usually graduate from high school at age 17 or 18. Kaltim Post (owned by Jawa Pos Group) and Tribun Kaltim (owned by Kompas-Gramedia Group) are Bontang's two major daily newspapers. Although they are printed in Balikpapan, they cover news of Bontang, indeed there is local newspaper named "Bontang Post". The city is also served by other publications such as Jawa Pos, Kompas, Republika, Jakarta Post, and Tempo. Bontang has many radio stations. Major FM radio stations include EsKa's FM 103.9 MHz, Nada Bontang Indah 103.1 MHz, Radio Suara Imanuel FM 88.9 MHz, RY FM 90.5 MHz, Buana FM, and Bhayangkara FM 99.5 MHz. There are two major television stations, (Publik Khatulistiwa Televisi) PKTv and LNGTv. The city is also served by stations representing every major Indonesian Network, include RCTI, Metro TV, SCTV, Trans TV, Trans 7, Indosiar, ANTV, TVRI (Public Station), TV One, and Global TV. Popular sports in Bontang include soccer, badminton, futsal (indoor soccer), softball, and volleyball. Soccer is by far the most prominent sport. The town has its own 3 professional soccer club called Bontang FC, Bontang Mitra United and PS PU Bontang. Bontang FC(owned by the company Pupuk Kaltim past, now by the city government), which is one of only two professional clubs in East Kalimantan. Bontang has three major soccer stadiums, Mulawarman Stadium (owned by PKT), Taman Lestari Stadium, and Besai Berrinta Stadium. US Major League Baseball player Tom Mastny was born in Bontang.